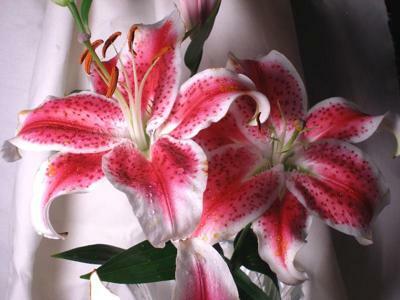 Stargazer lily, lily flower picture. They are called Stargazer's and they are magnificent. The multitude of pinks and white within each flower is breath taking. The orange stamin(?) dangle on each tiny stem. Touch one, and you get orange pollen all over the place. She had plucked a few as she said most people don't like them on because of that. But if you are a painter, like me, you want all that nature has to offer to include in your painting. So we didn't pull the orange stamins off. Just moving them around caused a lot of the orange dust to fall on the blossom petals, and some well directed puffs of dry air (canned) allowed me to remove the dust without disturbing them more. This flower is used a lot in weddings I understand, so you don't need orange on the white wedding gown either! Once I got these home, I sprinkled a few water drops on it, put some drape into the background and fired up the camera. 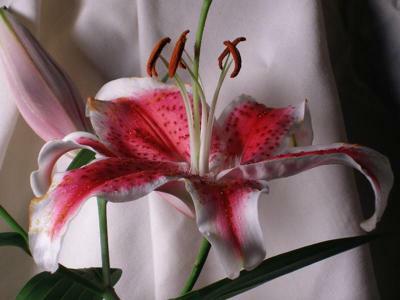 Are you interested in learning how to paint or draw this lily, click here for one of the best art lessons on the web! Hope you too can use it for your next project. Let me know how it turns out! Even better, if you decide to paint this, why not add it to our growing group of folks that have submitted their great works of art! 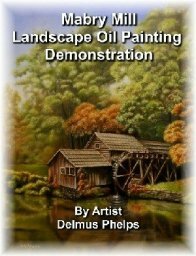 Just click on the navigation button to the left "Your paintings". fabulous fragrant beautiful flower,tantalizing to the eyes like a star in the sky with aromatic smell that lifts the soul to heavenly kingdom.